Yes, it does, for both Quick Researches and for the Project Sections. When it comes to Quick Research, the tool supports operators such as “exact phrase”, “OR”, “AND”, etc. When it comes to the in-depth Projects, BrandMentions offers you the possibility of refining your monitored keywords just the way you want, with an advanced Boolean Search feature. 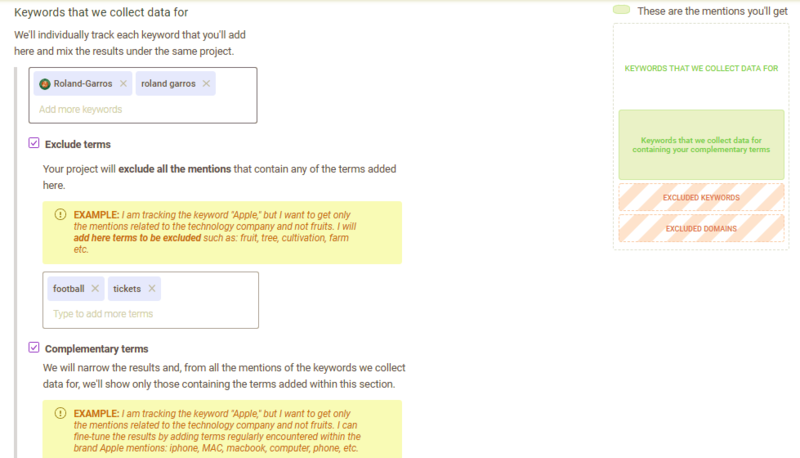 You can exclude or include terms, just like in the screenshot below. Yet, everything you need to know about how to best define your keywords can be found here.